Jessamyn Stanley is a yoga teacher, body positivity advocate, and writer based in Durham, North Carolina. Jessamyn uses high-energy vinyasa flow as a way to move past mental and emotional barriers. Her classes provide a body positive approach to yoga which celebrates students’ bodies and encourages them to ask “How do I feel?” rather than “How do I look?” when practicing yoga. Join Jessamyn for one or all of her Seattle workshops. We expect these classes to fill, register early to save your space. All bodies, all abilities, all levels welcome for this hip-opener workshop. Bring water, your mat, and any props you enjoy! No prior yoga experience necessary. 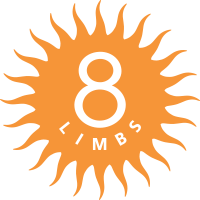 FULL – to be added to our waitlist please email phinneyridge@8limbsyoga.com. All bodies, all abilities, all levels welcome for this Vinyasa style, high-energy, flow class. Bring water, your mat, and any props you enjoy! No prior yoga experience necessary. Entry to the class will be donation-based! All proceeds will be split between Yoga Behind Bars and 8 Limbs Teacher Training scholarships, supporting access to our certification trainings for applicants of color, people who identify as LGBTQ+, and/or in under-represented populations. To learn more visit our website. If you would like to donate, please note that the donation can be paid in cash or check in person, registration will be done ahead of time via 8 Limb Yoga’s registration link. Please be sure to register to save your spot, and also to cancel if you can’t make it as we expect this class to fill in advance. All bodies, all abilities, all levels welcome for this backbend workshop. Bring water, your mat, and any props you enjoy! No prior yoga experience necessary. We are able to offer a select number of partial scholarships for these classes. If you would like to be considered please email access8@8limbsyoga.com.